Farewell to the Demag 12600 crane!!! As this photo shows, it is now being dismantled. Yep, it's going to take weeks if not longer to transport all that Big Red equipment out of there. Huge missed opportunity missed with this not hosting a world cup game in 7 years. Darn. 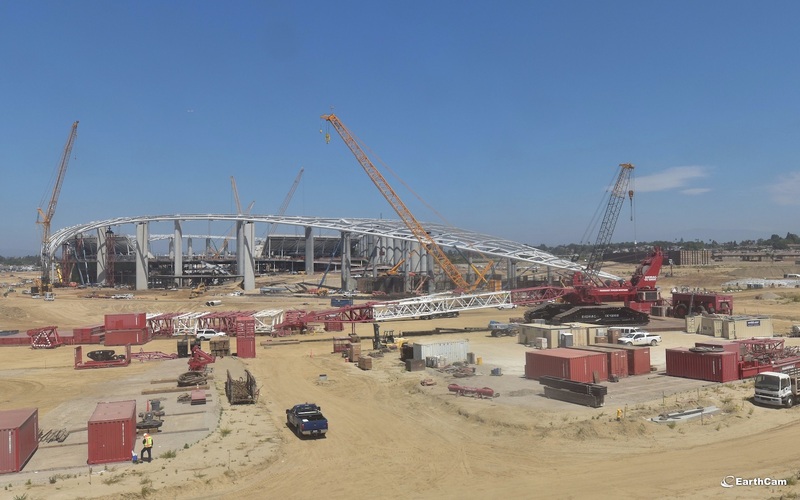 What the United bid did was only include existing stadiums in the grading, because including non-built stadiums reduces your entire stadium score by a penalty, depending on how many non-built stadiums you include. They indeed did mention it as a potential venue I think, but it was better to include a Rose Bowl in the grading with a slightly lower score than this stadium with a higher score but a penalty. 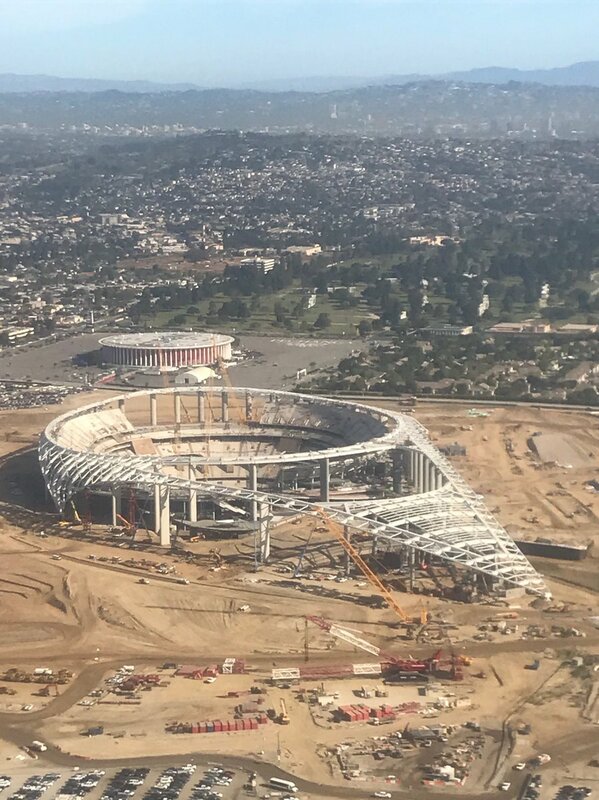 It's obviously going to be used in the actual world cup, FIFA will make way more money in this stadium. 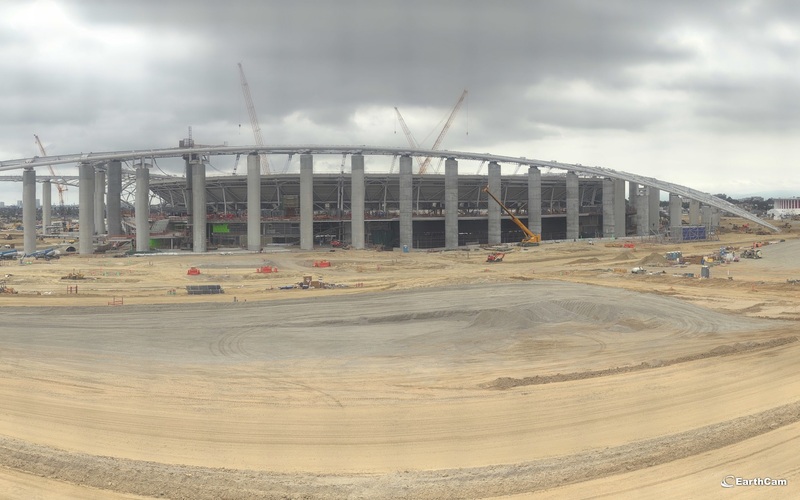 The Inglewood stadium will definitely host World Cup games. Since NWHL has moved to completed it is. Yeah, some of those Spurs fans clearly need to get a life. It's a football stadium FFS. To be fair, the NWHL thread had much more material to work with and discuss, since timelapse and live cams at both the interior and exterior of the project were being actively replaced when construction progress was slowing at the area where they were at. The cameras they're giving the public access to for this project are a trickle-drip in comparison. And the fact that it took forever to actually complete, seemingly. This one will probably end up going much smoother. Hello!!! 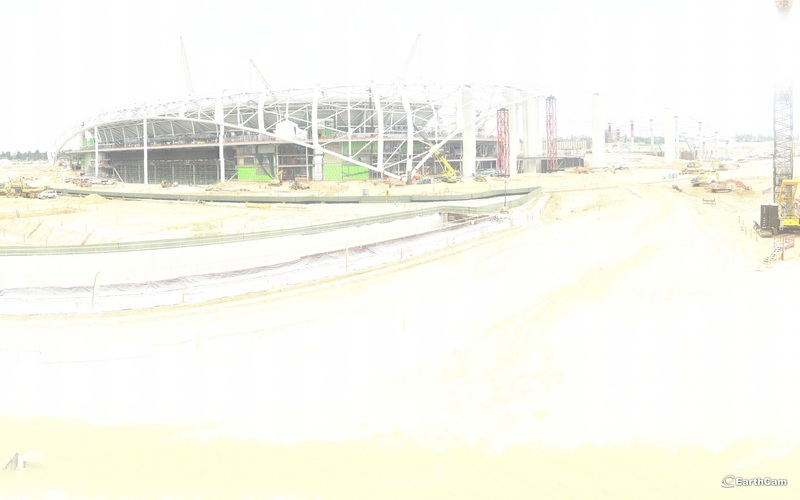 Where can find architectural and structural drawings and plans for stadiums? Hey everybody here are the HD Cams for the start of the workweek 4/22/19! Gigapixel is from today, the other two are from Saturday. (North is a little blown out too sorry about that!) Enjoy! Oh look - a doughnut! "How can anybody be enlightened? Truth is after all so poorly lit."